Setting up the room had been what finally convinced me to hire Fitz. It was small for a corner office. The style was distinctly industrial, with Art Deco flourishes that invoked the Golden Gate Bridge – a copper bass-relief of which was hung against one wall. The floor was sections of metal grille with soft colored lights glowing up from below; the lighting above was recessed into a rather low ceiling. Two imposing chairs sat before a sweeping chrome desk that curved around and along the wall to surround a small chair, also on metal. The desk adjacent the wall was presented as the primary work surface, with a bulky keyboard and trackball set permanently therein below a monitor that was itself set into the wall, behind clear glass as though a museum display. What I expected to be a two-day project with the three guys I hired, had taken six days – and half of that was having them re-do what they did wrong. I could have done most of it myself in ten hours with a second guy to do some of the lifting. Managing others remotely was infuriating sometimes. It was a quarter to noon, 8:45 Pacific time. I had already turned the video conferencing camera on remotely, but not the display, when Leo led the Gardner twins into the room. Except for some very evident nerves, Georgia Gardner managed the picture of the young Latina professional. Her tan business suit was pressed, her long hair tightly done up in wrapped braids at her neck. She managed not to call attention to the gloves she wore, or the thick insulated soles of the work boots that hid under her suit. I noted, mostly for confirmation of the extensive research and preparation I had done, that the pleats of her pants and the tail of her jacket hung oddly, seeming to stick to her or flare out at different moments. She took in the room with perplexed appreciation – she liked what she saw, but didn’t understand it. Matti Gardner also wore a professional suit, in navy blue, but her appearance drew away from her choice of dress. In place of skin, she was covered in layers of small overlapping scales, each about the size of a paperclip. She had no hair, although the scales from her crown down the back of her head were thicker and longer, forming a downward cascade that suggested spikes or frills. She didn’t bother with gloves like her sister – her hands were scaled as well, with flared scales along the backs of her hands running up her fingers like extended claws. Unlike her sister, Matti’s expression didn’t betray any glimmer of hope or excitement. She was stern, and increasingly wary as she looked around the room. While he was speaking, Matti had taken her sister’s arm and helped Georgia slowly and carefully sit down in her chair. Georgia furrowed her brow as she settled into her seat, and I saw her casually moving her sleeved arm against one of the high chair arms. Matti dropped into the other chair without ceremony. I stared at the screen in surprise. Leo had gotten them into the room cold, with no information about me or the job. I had hired him based on second-hand recommendations; he was supposed to be the best consultant in Silicon Valley for launching a start-up. I had certainly not told him to leave my best candidates in the dark through multiple days of meetings and interviews. But looking back, it was quite possible I had. When Leo and I first discussed staffing my new company, I explained that secrecy was of paramount importance until we launched, particularly with our candidate hires. I had assumed that he would fill the Gardner sisters in once I had them sign the NDA, but I had never explicitly told him that. This was going to make today’s meeting quite a bit messier. “… certain he will fill you in himself, as soon as he calls in,” Leo finished. I decided that was my line. I shut off my one-way feed to the office’s systems and dialed in. The video feed resumed after only a short delay, with Leo’s fingers on the track ball where he had answered the incoming call. “Hello to both of you,” my synthetic voice said over the built in microphone system. 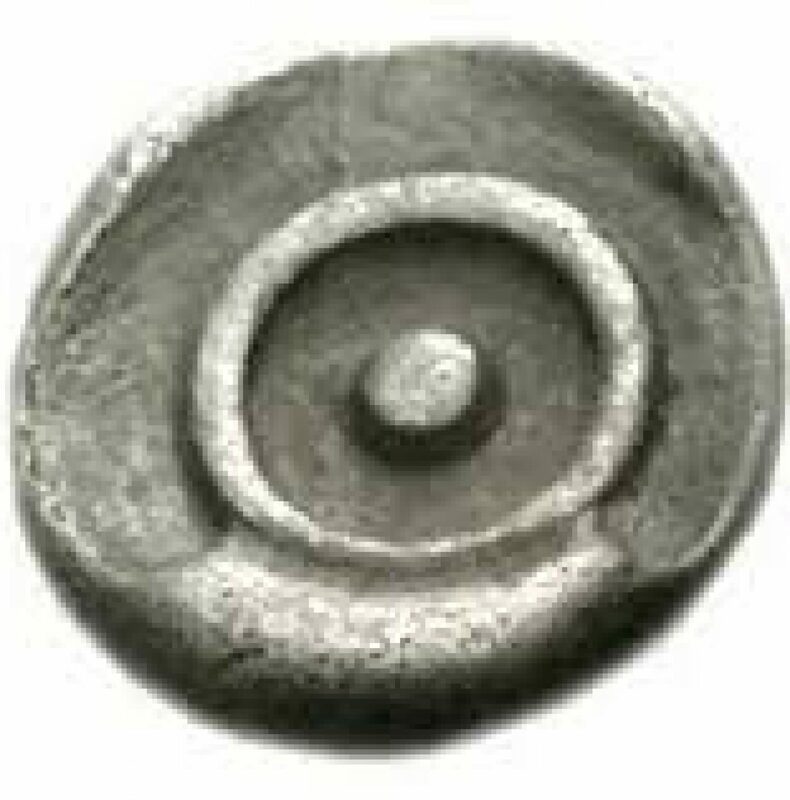 I was using my classic avatar, a still image of an ‘Omphalos’ coin believed to have come from ancient Delphi. The man looked perplexed but he didn’t hesitate. With a nod he stood up and walked past the women, into the empty floor space of the office proper. I waited until he was well out of earshot. Matti asked, “You’re for real? You’re actually the superhero, Delphic?” Other than a slight narrowing of her eyes, I saw no change of expression. Georgia was biting her own hand, snickering, while Matti had bent over enough to bury her face in her arms. The reaction didn’t seem to fit what I was saying. “Ah.” Georgia settled down a bit, and reached out to place a reassuring hand on Matti, who was composing herself. “You could call it that,” the scaled sister muttered. Matti’s coloration was almost back to normal as the two of them shared a glance, and then nodded at the same time. “It’s fine,” Matti insisted. “No it’s not,” Matti interjected. She pulled herself up and back, focusing her full attention on my avatar – avoiding her sister’s indignant gaze. “Matti, what are you-” Georgia began, the other twin cut her off. Emboldened, Matti continued. “They convinced her that she shouldn’t do any of the facetime, because of her condition,” she gestured at Georgia’s gloves; Georgia tugged on one nervously. “Yes, but,” she licked her lips, holding up a gloved hand, “the shocking problem is real. I really can’t take meetings in person unless I keep my distance. I can’t even be around computers for more than a few minutes. Georgia looked to her sister, who gave her a ‘go on’ nod. She took her gloves off, one at a time, to reveal long fingers painted a deep blue. It took me a moment to realize why the color seemed to fit so well – it matched Matti’s scales. She reached down to pull off her boots, revealing socks the same cream color as her blouse. Reluctantly, she put one foot on the floor, then the other. “Do you know how lightning rods work?” I asked, and they just shook their heads. “A common misconception is that their primary purpose is to attract lightning strikes. But their main benefit is reducing the frequency of strikes in the first place. Georgia took in the room with new eyes, and saw how I had chosen copper and bronze decorations with angular features. Her eyes went to the base of one knick-knack where a bit of the grounding wire was barely visible. Georgia rolled over to the part of the desk up against the wall. I could see her start to object… and then think better of it. She waited on me instead. “This seems like a significant expense to go through for one employee,” Georgia said. “It’s actually less expensive than many COO offices in the Valley,” I retorted. Georgia turned and made eye contact with her sister again. From the placement of the camera, I couldn’t see her face when she did that. Matti’s was still impassive, but she did give a small nod. “What would I do, exactly?” She turned back to face the screen and the camera as she asked. She looked genuinely pleased, with a broad smile she seemed to be trying and failing to suppress. “That’s quite vague,” Matti pointed out. “Who are your investors?” Matti asked. “We have to turn thirty-five million into seventy million in three years?” Matti sputtered. “I stand corrected. We turn forty million into a hundred and ten million. Piece of cake,” she quipped. Her scaley features really were quite striking, beautiful even, when she let herself show emotion. “It may be hard to balance paid and unpaid projects,” Georgia mused. Georgia and I both looked to Matti, and she smiled. Not a big smile – small and quiet. But I swelled with pride anyway. “You have contracts for us to sign?” Matti asked. She was right. I made the call to Leo. Thanks for the chapter, was a lot of fun to read. Cool to see the hero firmly in control of a situation from time to time. I’m surprised that he never invested the time to learn lip-reading. It is very critical skill for him. It is true that he won’t get 100% accurate word-to-word info even if he was somewhat fluent, but even knowing 60% of the stuff people are saying would substantially accelerate all his investigations, and even give clues he would never have gotten otherwise. Thanks for the feedback. This is a common point that readers have brought up, and I think I may need to find some way of addressing it within the story itself. When tested under controlled conditions, experienced lip-readers have a maximum accuracy rate of around 30%. AI lip readers do about the same, because the majority of speech information is simply not visibly detectable using the lips alone. Most successful “lip readers” are hearing impaired individuals that use auditory cues in addition to visible data to read speech. It is my conclusion, and I have Hector reaching the same conclusion, that he is more likely to generate false information from lip-reading than accurate information. Human beings are really good at “finding” patterns where they aren’t there. One of the best ways to fight this tendency is to simply not look for answers in data that you know to be very noisy. This is certainly frustrating for Hector and is a problem he is actively looking to solve within the context of the narrative. If you have a solution or even just more ideas, I’d love to read them. Story mentioned that he was able to see inside of Polarity’s mask. Would he able to see inside of mouth? He could match phonemes to tongue/teeth/soft palate position or something in theory. Definitely not “the” solution (too slow), but still. If there was enough light in there, he might. That’s an interesting idea. Sorry if the description wasn’t clear – Polarity wears a large metal suit with enough room around her head for a mic and HUD display. More like a helmet than a mask (think Iron Man). Hector relies on existing light and can’t see inside solid objects; he couldn’t see under a normal superhero mask like Peregrine or Inexor wear. Now that I think of it, a surprising number of the supers in my story wear helmets rather than masks. From memory: Boom, Argent, Yellow Rose, Velo, Lady Liberty, Jank, Full Tilt, Valour, and Polarity. Spinner’s visor probably counts too. Well, helmets make sense, the head’s pretty vulnerable. Back in medieval times taking off a knight’s helmet was sufficient to enforce parole – they’d be crazy to go back into a fight without it. They’re probably also better at hiding your identity than a mask. Though they’re not perfect protection – another article I saw was about how current American infantry helmets do an excellent job of keeping out shrapnel that would kill you quickly, but they also concentrate pressure in ways which can lead to future neurological problems.